We’re throwing an afternoon tea party to celebrate spring! 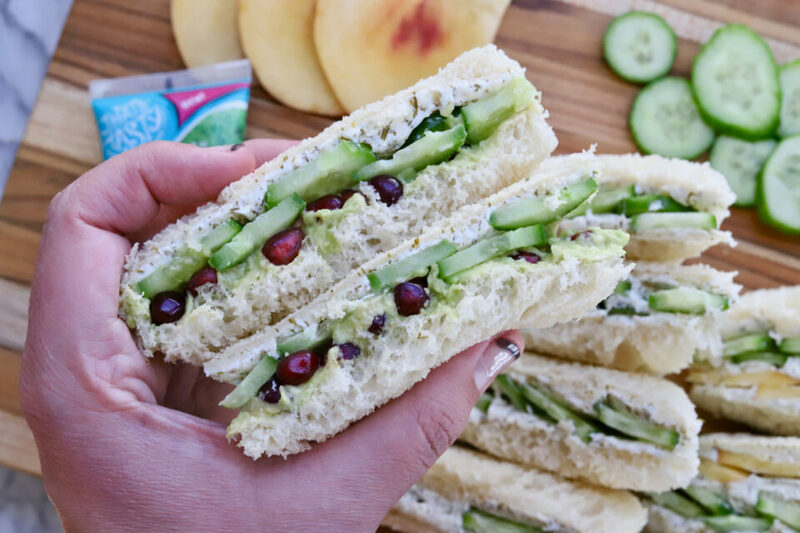 Join us as we create a tasty-spin on a traditional English finger food: The Cucumber Sandwich. If you’re looking for a quick and easy appetizer to make with your kids, spread some joy with the royal family’s favorite snack. 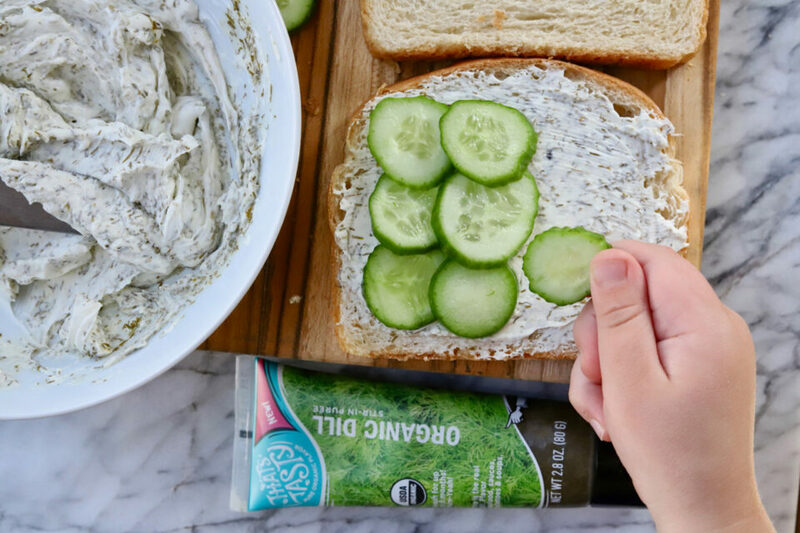 Velvety cream cheese and our Organic Dill Puree are combined to make the ultimate condiment to be paired with crisp cucumbers and soft white bread. Add some sliced nectarines or a few pomegranate seeds and your taste-buds will be in for a double-decker that’s suitable for a queen. 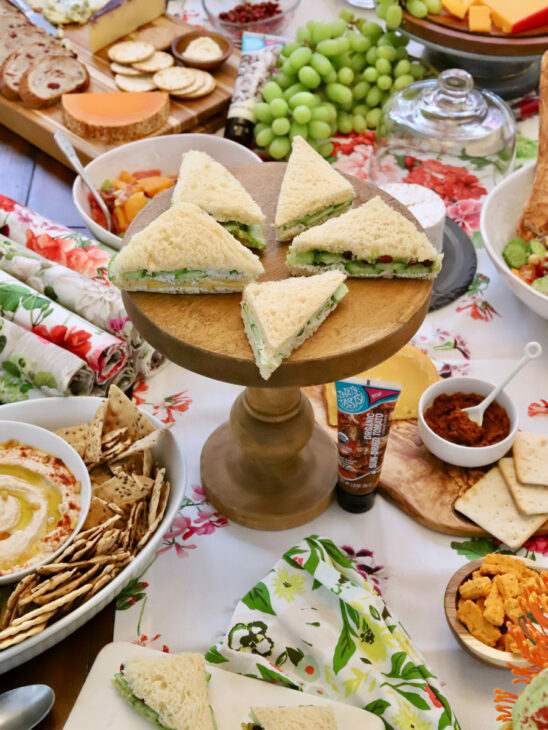 Whether you’re looking for a quick snack or hosting an elegant baby shower, these delicious cucumber sandwiches add the perfect crunch to any occasion. Mix our Organic Dill Puree and Cream Cheese together in a small bowl. Add more puree if you’d like; don’t be shy here. Thinly slice the cucumber and other optional add-ons and set aside. Lay out the bread and smear each side with a hefty amount of dill-cheese spread. Top four of the slices with cucumber and then top with other halves of bread. Optional: include any add-ons during this step. Cut off crusts for a traditional look and then cut in half. Serve immediately. We used an English Cucumber for this because they are “seedless” and often crisper than the regular variety. Don’t see these at your local store? No problem! Just scrape the seeds out of a regular cucumber prior to assembling your sandwiches. We used a nectarine as an add-on in this recipe, but peach slices would also be a great option! The sandwiches we made included the traditional cucumber option, pomegranate + avocado + cucumber and nectarine + cucumber.